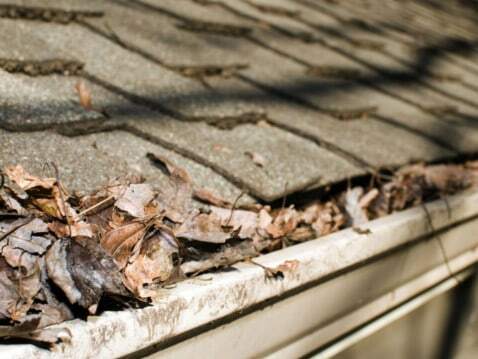 Whether on a residential or commercial structure, a deteriorating roof can cause many problems. Depending on the materials used, having to replace it entirely can be costly. Many legacy buildings have roofs built with outmoded processes, but these days, there are more and more higher-tech options available. The tar and gravel system was, and in many cases still is, widely used in roofing because of its comparative low cost and good insulation properties. However, new processes involving roof membranes made from a variety of materials can provide the same or better properties, sometimes even at a lower cost. Particularly, a TPO membrane can be used to replace an existing tar and gravel roof, granting not only savings on materials (tar contains oil and we all know what’s been happening to those prices! ), but also in heating and cooling bills throughout the year. Not to be confused with the similar rubber-based EPDM solution, a TPO, or thermoplastic polyolefin membrane, is a single ply mat that is laid over the building structure then melded together through a combination of chemical glue and hot air sealing. It is extremely resilient and flexible, which allows it to be used successfully on many different roof types. Like other roof membranes, TPO comes in both light and dark shades. The lighter shades reflect the light and stay cooler and the darker shades stay cleaner and look better when near trees, dust and other foreign particles. When comparing the installation processes of TPO versus tar and gravel, the former comes out on top. Tarring and graveling a roof is an extended process that involves hot tar, which is a potential hazard to workers and produces an unpleasant odor in the surrounding community. Conversely, the installation of a TPO membrane uses a much cleaner method of securing the membrane and hot sealing the seams, which cuts down on both time and disagreeable odors. When switching from a tar and gravel roof to this newer membrane method, the first observable change will be the temperature shift within the building. Summers will be cooler and winters warmer because of the TPO membrane’s ability to reflect and absorb heat, depending on the colour used. Another major change will be the aesthetic look of the building. A TPO roof can be made in a variety of colours, provided that the building is large enough. Having a fresh, eye-catching look and including the business name and logo on a two-toned roof can boost visibility and overall branding for the company.